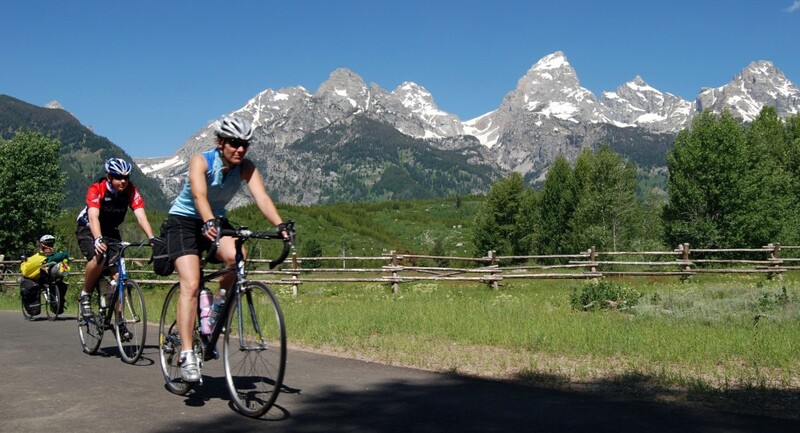 For now, it sounds good to go get 8 miles of Grand Teton pleasure...16 if you go both ways. If I understood http://www.nps.gov/grte/parknews/multi-use-pathway-to-open-in-early-summer.htm, there will soon be another 12.5 miles added, making it a 41-mile round trip, say, from the Lake Jenny Campground to Jackson and back. What a nice day that would make. People do travel to places to spend money while skating and cycling and running and walking, you know. This sounds great. Thank you Grand Teton National Park, National Park Service, and Department of the Interior. And special thanks to Greensboro's Country Park, where we are always welcome and very often encouraged by the staff and the regular walkers, runners and cyclists there. Thank you for giving me a place to improve my life!